Okay, just a reminder that the new Creative Spaces Volume 2 is going to be available January 8th. Stop by any Barnes & Noble or go online to order. 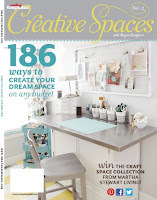 As you might recall, I announced that my craft space would be one of the creative spaces featured in the new Creative Spaces Idea Book Volume 2. But have you ever wondered about the "behind the scenes" on how this amazing book comes together. 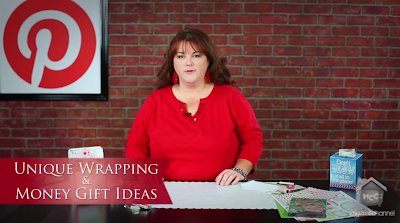 Join me today as I share some fun and creative ways to create with tissue paper. 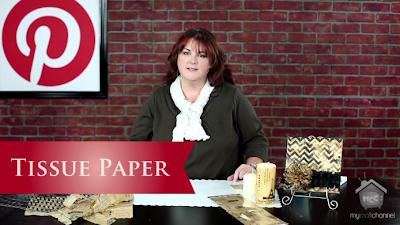 With only a few sheets of beautiful 7Gypsies tissue paper I will show you ways to apply to candles, mod podge and create easy flowers. I adore darling aprons, but I think they're hard to find. That was until I checked out the collection of Designer Aprons available through Grandway. I had to see these for myself because no two aprons are a like and typically they don't work for all body types. I selected this darling the Black Floral - Audrey Apron. I loved the scooped neckline with the darling collar. And of course everything goes great with black and white. I opened the package and could tell right away that the quality was good. The fabric was high end, the details was beautifully made and would you believe it was just as cute on. And best part, the tie actually tied in front for me (not typical of most aprons I've tried in the past). My daughter said this apron was too cute for me and she should have it. But after a small arm wrestle match, I won. I've been running around in it all week. I find I craft in it much more then I cook in it though (wink)! I was thinking it would be fun to make Peppermint Candy Bark again this year for neighbor gifts. It is a lot easier then cookies and a huge hit with my family (because they get the reject pieces). But I wanted to step it up and do something a bit nicer then what I've done before. So where do you think I started, Pinterest of course. I'd find happen across that one perfect recipe, I found 30 that I couldn't resist. Now I'm trying to decide which one to make. I'd love to know which one you like best. 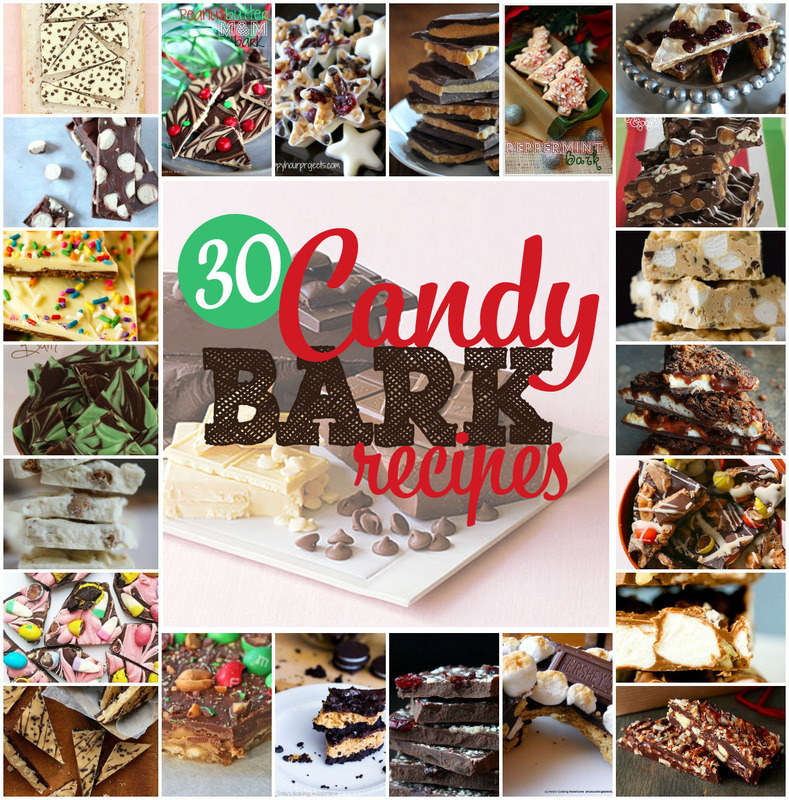 I've listed what kind of Candy Bark each photo is and linked back to the original blogger's post that created these yummy projects.